Bringing to you by popular demand! Join us Wednesdays at 6pm starting April 3rd for a great hot sweaty workout with Meg. 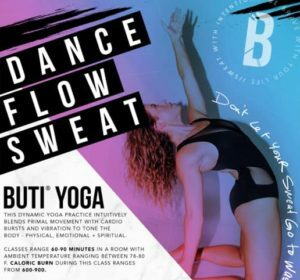 A combo of booty work, core and a fusion of yoga that will sure to have you leaving feeling great! Held in our Studio Above room. Free to our members and a $5 drop in for everyone else. Space is limited.